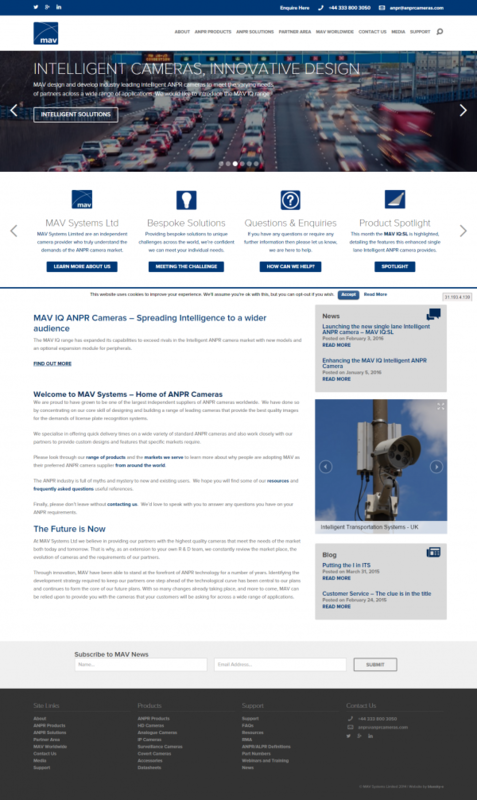 In 2014 Bluesky-e replaced the original website we created for ANPR Cameras in 2008. The new website design was accompanied by an on-going SEO campaign which has been successful in winning and maintaining a wide range of high ranking positions in Google and other search engines. Consultancy services are also being provided and this includes recommendations on content strategy. The result has been an increase in enquiries and orders over a 2 year period.